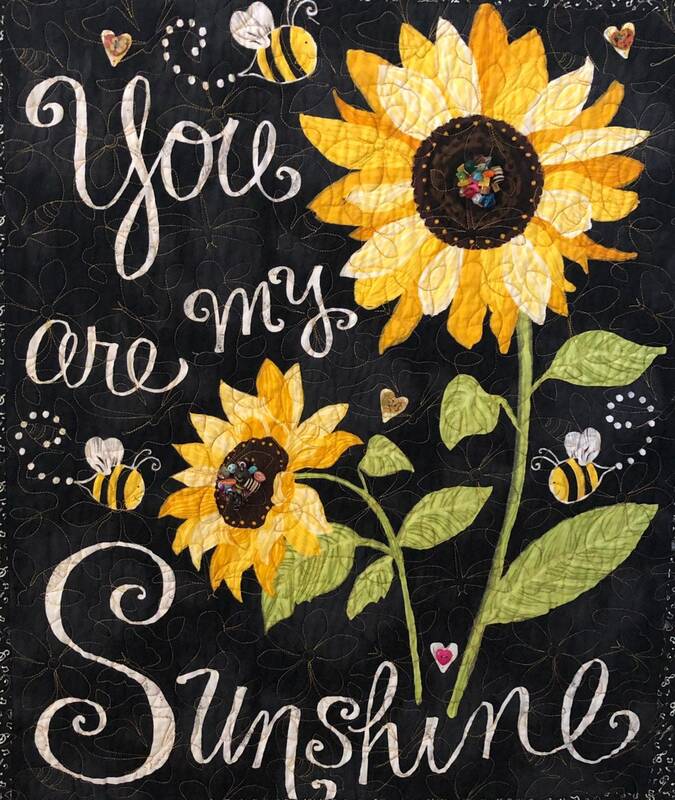 The sunflower panel with those magical words is the star of this quilt, but the borders give it its character. 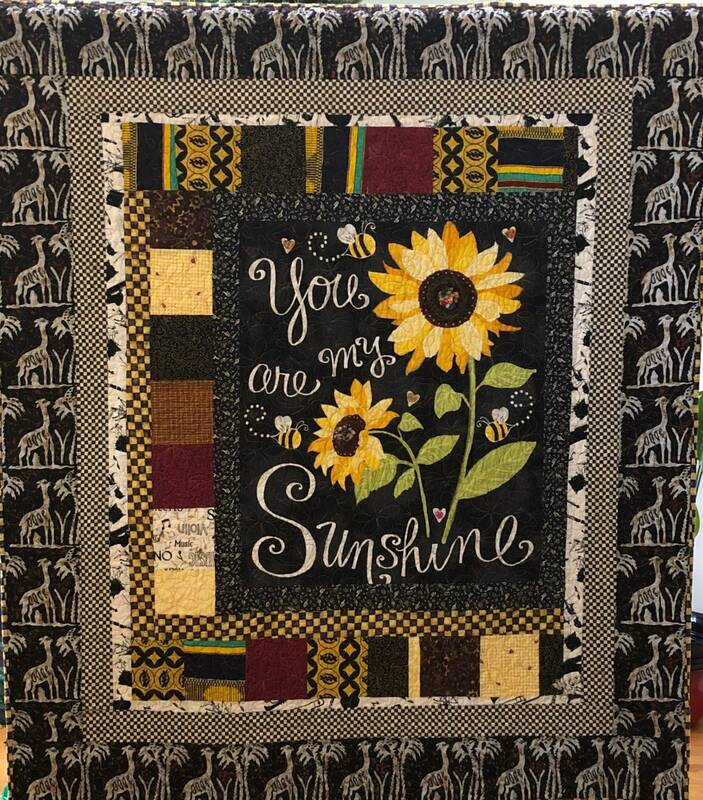 The borders in “Do You Know You Are My Sunshine?” are an eclectic mix of traditional fabrics, novelty fabrics and African fabrics. 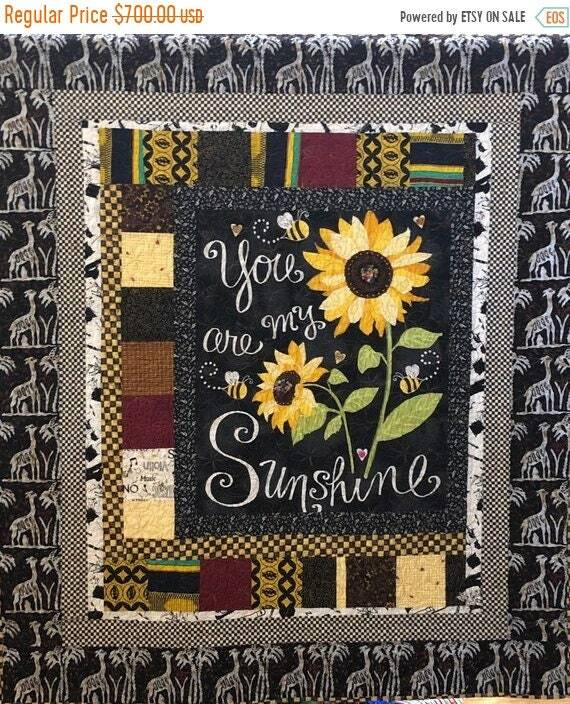 “Do You Know You Are My Sunshine?” measures 50x56 inches. 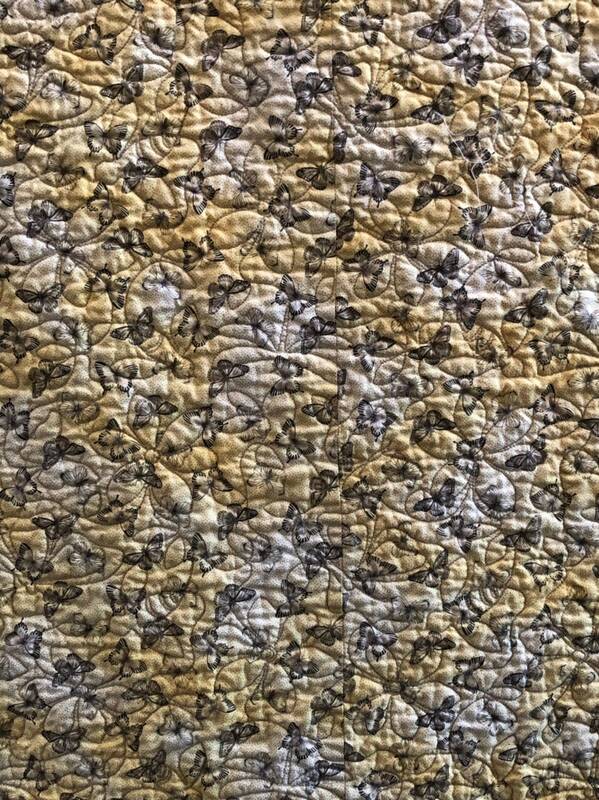 I pieced it on my machine and Maxine Moore quilted butterflies in the background on her long arm quilting machine. 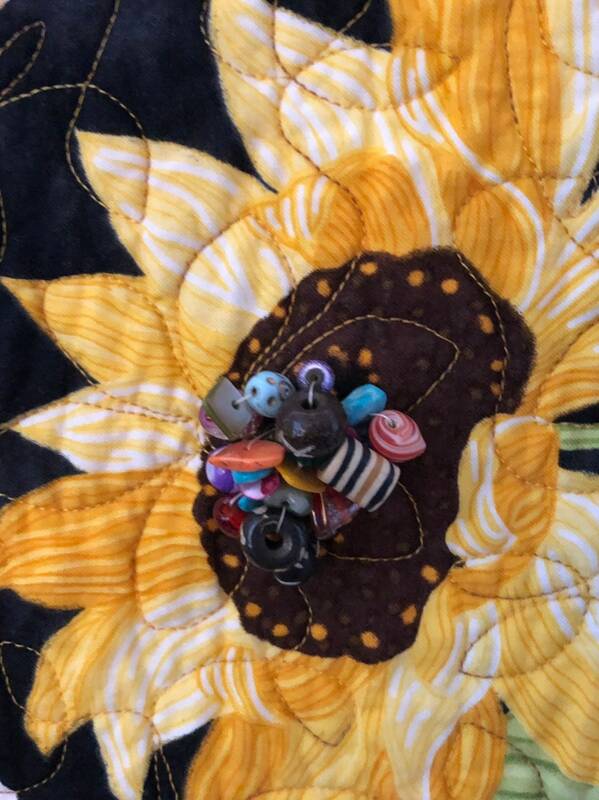 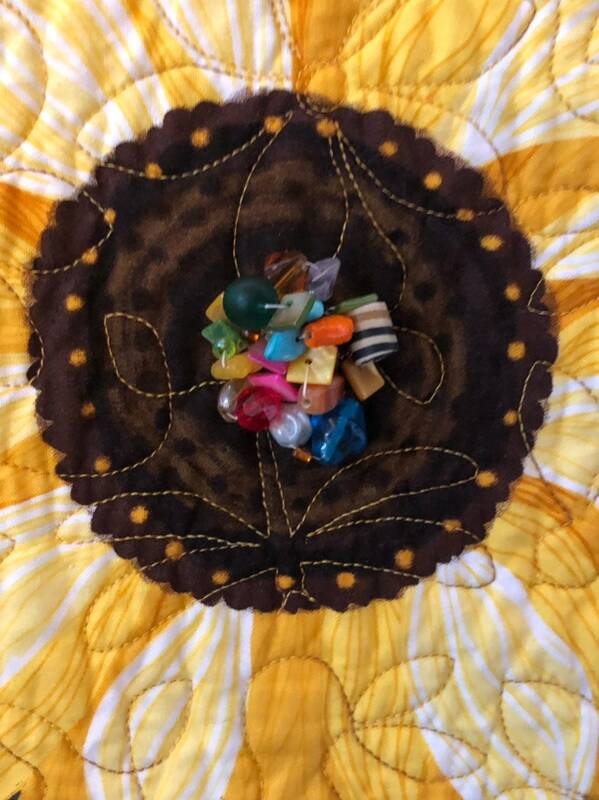 Beads, charms and buttons give the quilt texture. 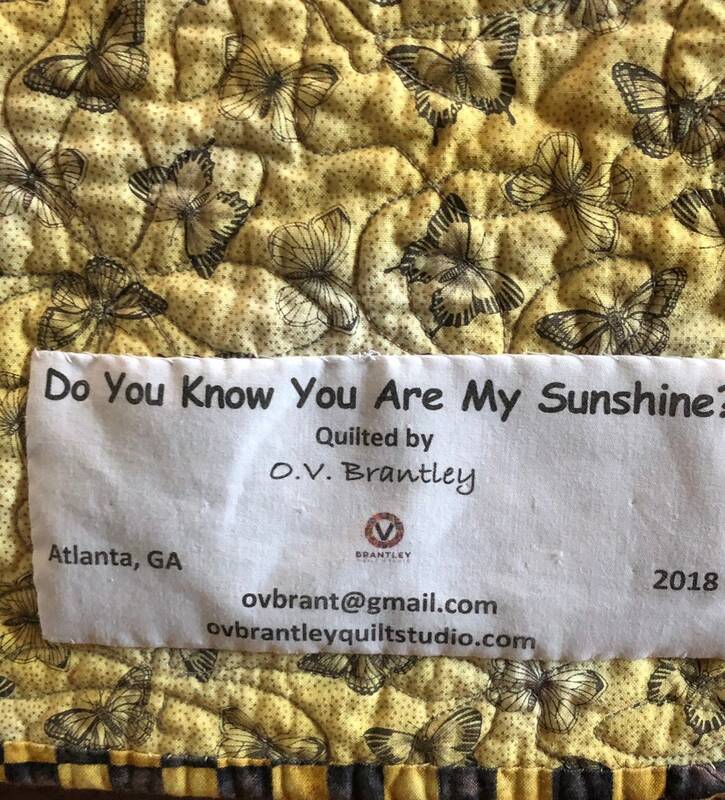 There is a hanging sleeve on the back for easy display and a label that documents the quilt. 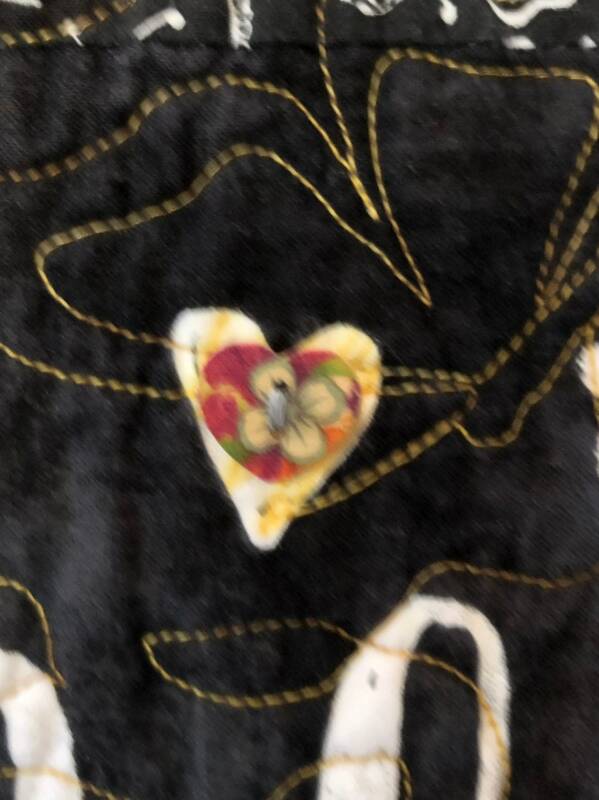 I signed it on the front. 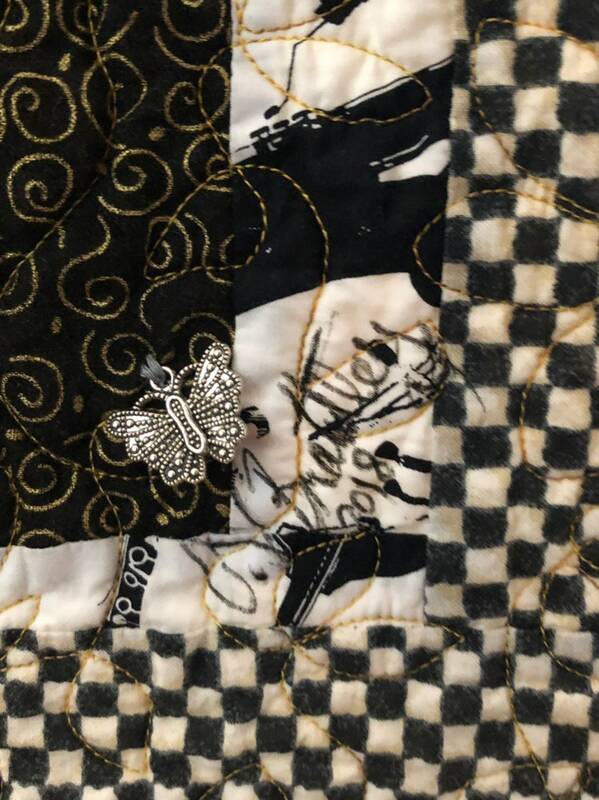 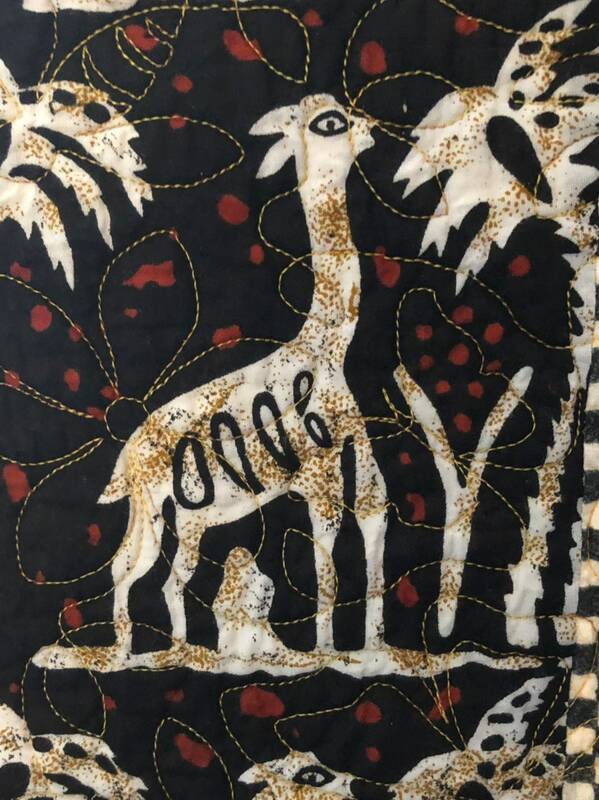 This quilt is one-of-a-kind.